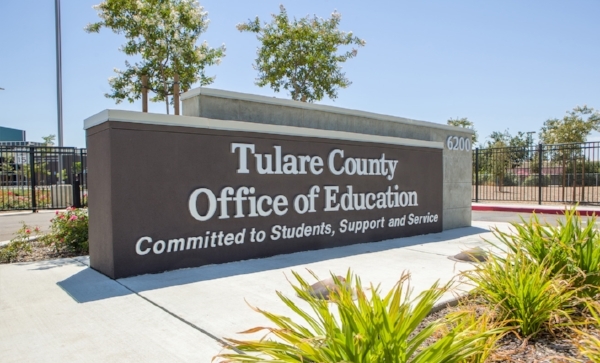 I was talking recently with Jim Vidak, who is the retiring Superintendent of Schools for Tulare County in California. I did a couple of morale-boosters as an education keynote speaker for the district and staff he’s led so well for so many years. Afterwards, Mr. Vidak told me a story that boosted my own morale a bit — actually a whole bunch. Many years ago when he was a principal, Mr. Vidak noticed while walking the halls that the majority of the comments he heard teachers directing toward students on the way to classes were tilting a little toward the negative side ... to put it mildly. Again, I’m sure that I personally deserved all 6,998 of these admonishments, but Mr. Vidak’s thinking was that a steady diet of only one type of comment, sent or received, may not be healthy for all parties involved. Hmm — deep, right? Now before I get in trouble with my teacher friends online, let me say: We all understand that these comments are usually well-intentioned and sometimes necessary. But at a certain level of saturation they can start to build up in the atmosphere, especially when not balanced with a corresponding amount of positive energy. I was once told by a psychologist that it takes five positives to erase one negative. I naturally ran home and shared this ratio with my wife — and when I saw the look on her face, I immediately tried to come up with five positives to balance out what I'd just said. “Uh, sweetheart ... most of what you say, even when it feels negative, is still constructive and positive.” I failed that test, but you get the point: keeping the ratio right-side up can be a challenge for lots of us, in all kinds of situations. Back to Mr. Vidak's story. At this point, he came up with a little experiment. "Remember those old golf clickers?" he asked me. "Yes," I lied. I actually had to do a little Googling to refresh my memory. These were little devices that you could hold in your hand or in some cases strap to your wrist to help you track your score, back in the days before smartphone apps would do that kind of thing digitally. You could add a click for every stroke, so you wouldn’t forget how much you sucked at a game you never quite figured out why you played. Anyway, Mr. Vidak bought a bundle of golf clickers and passed them out to the teachers, asking them to simply add a click every time they doled out a comment to their students that was less than positive in tone. And the result was that most if not all of the teachers were surprised at the number of self-observed clicks they racked up in just one day. This can be a fairly effective form of behavior modification. Even my father had a curse jar at his bar that would appear when the conversation started to get peppered with too many four-letter words. Customers either paid the piper for their potty-mouth tirade or were asked to leave. The difference is that the teachers were a lot quicker to learn something valuable from the experiment, whereas some of the bar patrons just wound up cash-poor, confused, and doomed to tip ye olde curse jar again and again. But the experiment wasn't over yet. For the second day, Mr. Vidak flipped things around by asking the teachers to add a click every time they made a positive or encouraging comment to a student. And this time, he noted carefully, some teachers were more surprised than others at the results — but everyone saw confirmation of how few positives tend to get tossed out in the comings and goings of an average day. “But this is not easy stuff," Mr. Vidak reminded me now (and his teachers back then). And I agree — I can imagine how challenging it might be to put a positive spin on fair and reasonable warnings. One of the closest examples I can think of is something my high school football coach Mr. Romes used to say to me: that even when I was on time, which was rare, I still "looked a little late." His comment was funny because it was true, and it managed to land on the right side of the line because it was funny. But all of this until now has been merely a prelude to Mr. Vidak’s main point, and the part I found most inspiring. 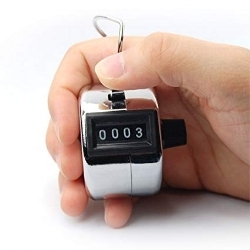 Because Mr. Vidak was so impressed with his teachers' willingness to learn from and reflect on their own interactions that he decided the least he could do was go through the same process himself — by grabbing one of his own golf clickers and keeping track of his comments to teachers as well as students. At that point he paused — but not for long as he was called off for some final housekeeping before the next break. As I watched Mr. Vidak head to the front of the room to wrap things up, I could feel something around him that is hard-earned and never simply given — and that's respect. Respect and admiration from the teachers he would soon be leaving, after a career well spent. It’s one of those rare energies you can feel better than you can explain. There's a stillness in the room, and a certain focus in the teachers' eyes that comes from trying not to let their emotions get the better of them. Dare I say, Mr. Vidak's story clicked with me. Real leadership is rare, and often it's only missed in its absence rather than recognized and appreciated in the moment. It was nice to get a glimpse of why Mr. Vidak himself will be so missed. So it's your turn now. Go make five positive comments to someone, anyone. You don't need a clicker — but do it for Mr. Vidak. I will, too. In addition to appearing as a speaker for teachers and other educators, Tim Clue is available as a healthcare keynote speaker as well as a motivational speaker for business events of all kinds.